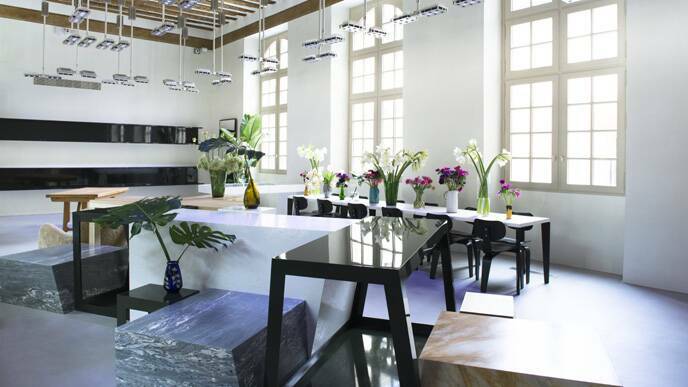 Céline moved into its new headquarters at 16 rue Vivienne in November 2014, a new home that embodies the creative vision of Phoebe Philo. 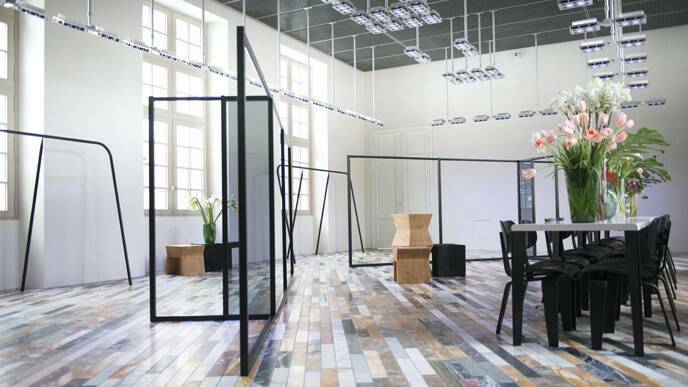 Céline’s Creative Director oversaw the renovation of the stately building in the heart of Paris, which figures on the national heritage list. 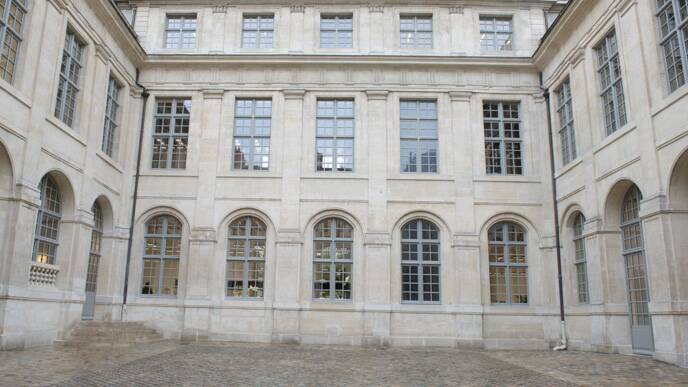 Built in 1653, the Hôtel Colbert de Torcy is steeped in the history of Paris. It was originally owned by an advisor to King Louis XIII, and then Cardinal Mazarin, before becoming the headquarters of the Paris Bourse in the 18th century. Today, the elegant address is home to Céline’s Paris offices, its design studio and a showroom, conceived as a veritable immersion into the universe of Céline. Right from the entry, after crossing the courtyard and admiring the original façades – entirely renovated with the approval of the French Ministry of Culture – the reception space features an oversize chandelier designed by the artist FOS. The design studio is in a glass atrium in the center of the building, where model-makers, seamstresses and pattern-cutters bring the designer’s creations to life. A former reception room on the second floor has become a showroom, replete with a marquetry floor like that in Céline’s London flagship store on Mount Street, made from 12 different types of marble from the world over. The materials and furniture design have all been selected and custom-designed to express Phoebe Philo’s distinctive vision. These spaces project the designer’s style, a subtle marriage of classic aesthetics and modern élan. “This is home, basically” said Céline CEO Marco Gobbetti in a recent interview in the Wall Street Journal.